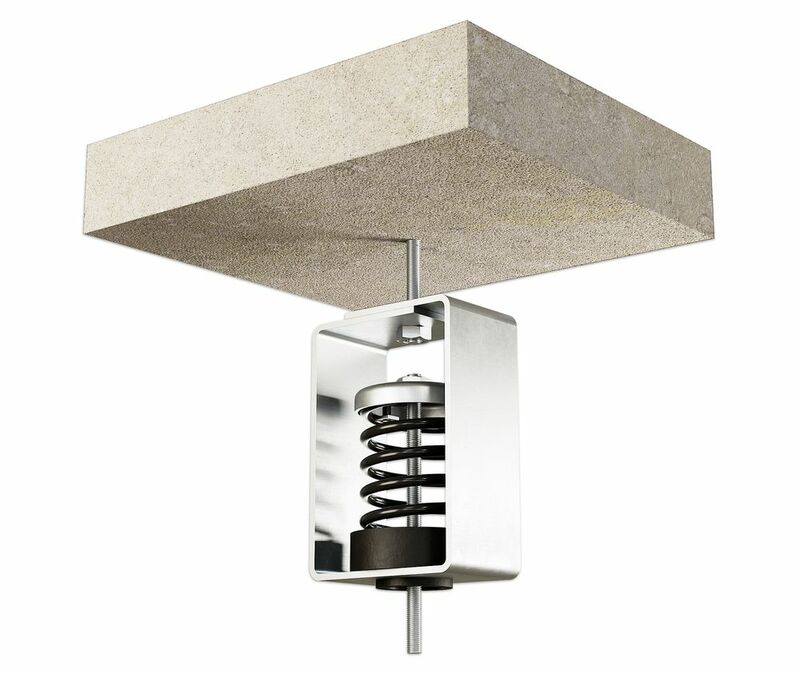 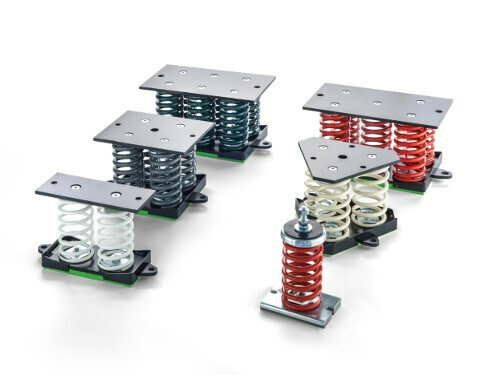 AMC-MECANOCAUCHO® VT HD Hangers range is a range designed for suspension of acoustic ceilings and machinery that requires a very high isolation level. 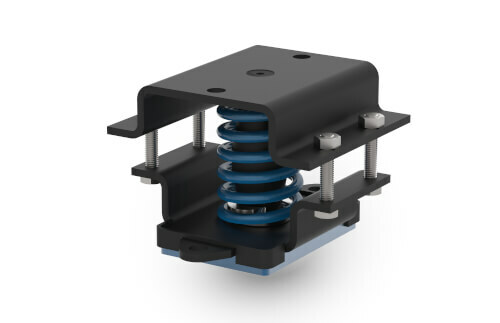 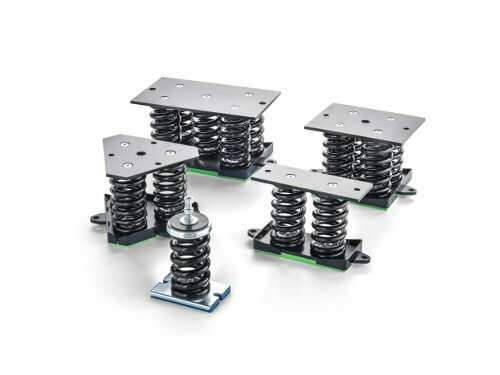 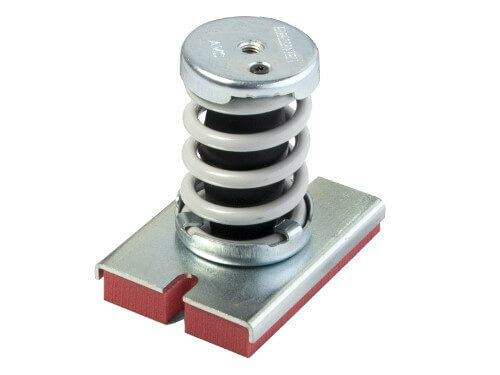 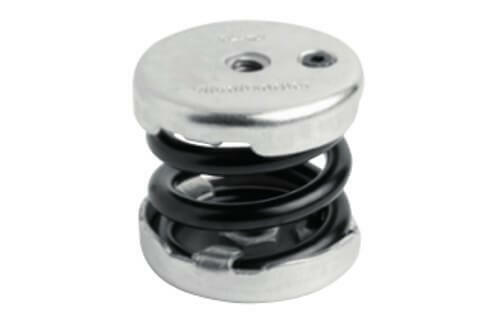 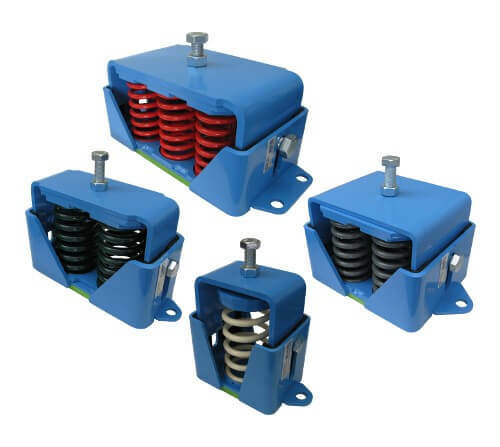 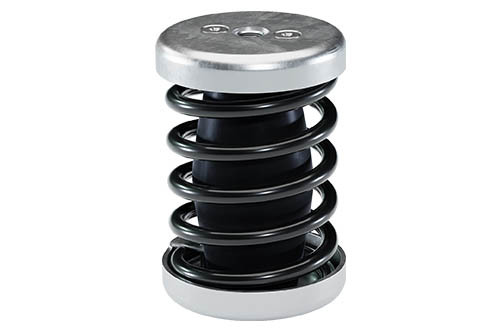 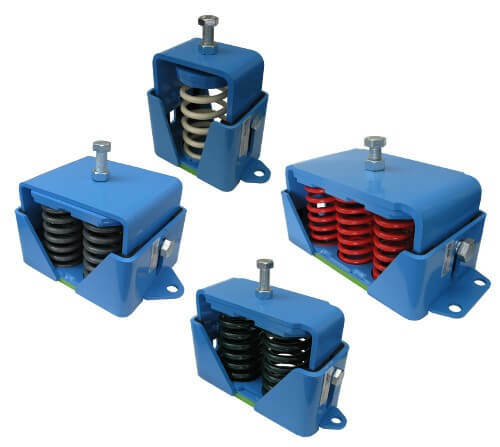 These hangers are made of a high mechanical performance spring and incorporate a rubber bush conceived to avoid the acoustic bridges and the contact of a non aligned screw. 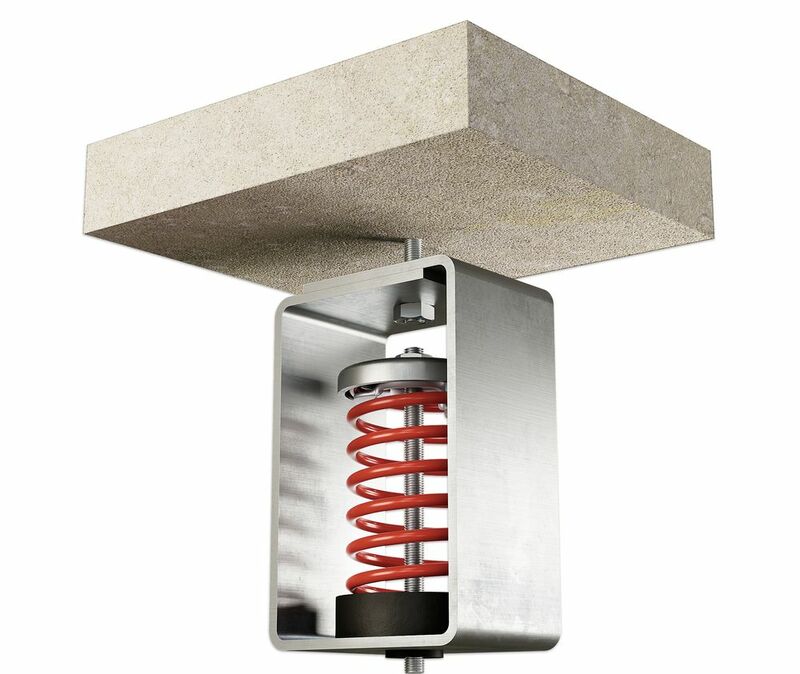 The metallic structure is very robust and it is supplied with an anti-corrosive zinc-plated coat. 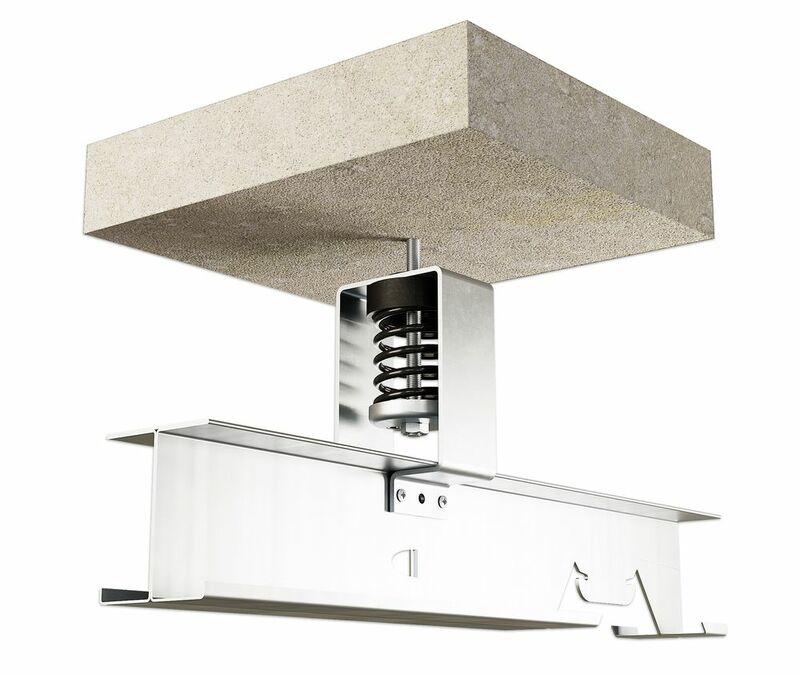 The assembly of this hanger is very simple, as it can be directly fastened to the ceiling through its top hole and a stud bolt can be directly fastened to the nut placed over the spring. 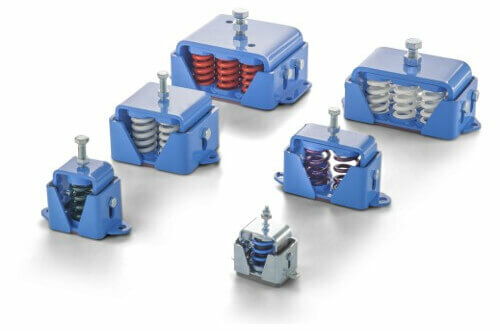 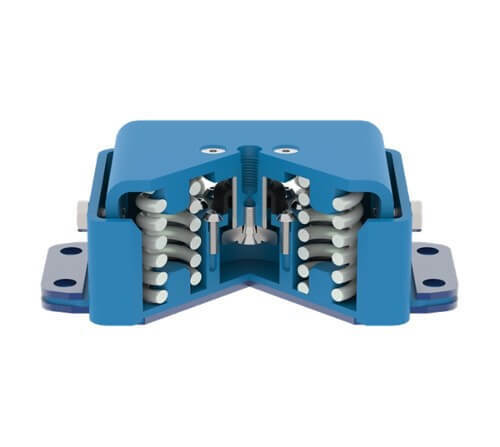 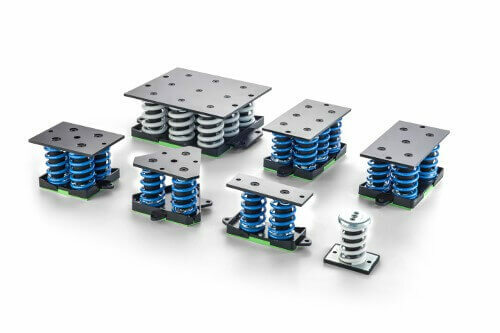 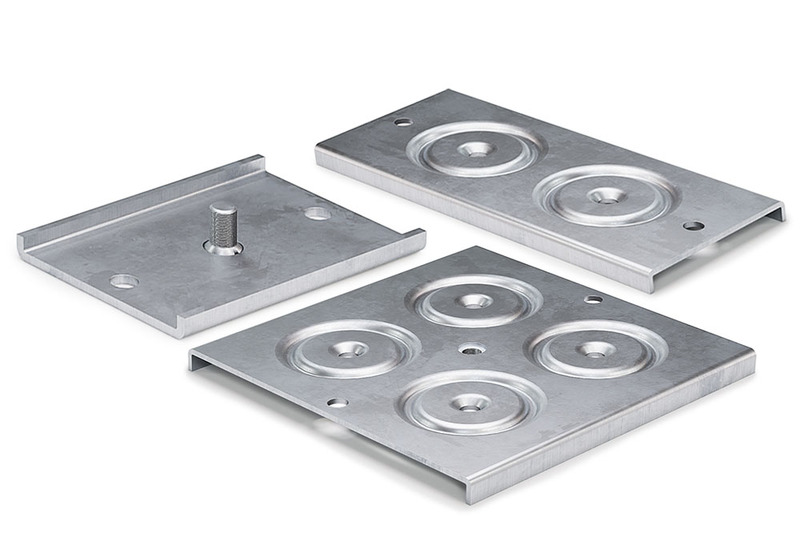 AMC-MECANOCAUCHO® VT HD Hangers, due to their low stiffness, are able to reach natural frequencies from 2 to 5Hz, and are specially suitable for applications where high isolation level is required.